Order in next 14 hours and 22 minutes for despatch today. 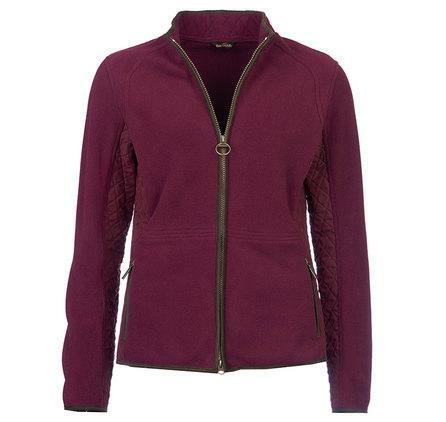 Barbour Ladies Zip Through Triplebar Fleece in Merlot or Navy. The Barbour Triplebar Fleece is a versatile addition to any winter wardrobe. Made from cosy polarfleece, it features diamond-quilted side panels and mandarin collar that create a flattering appearance. Suedette trims add a luxurious finishing touch.